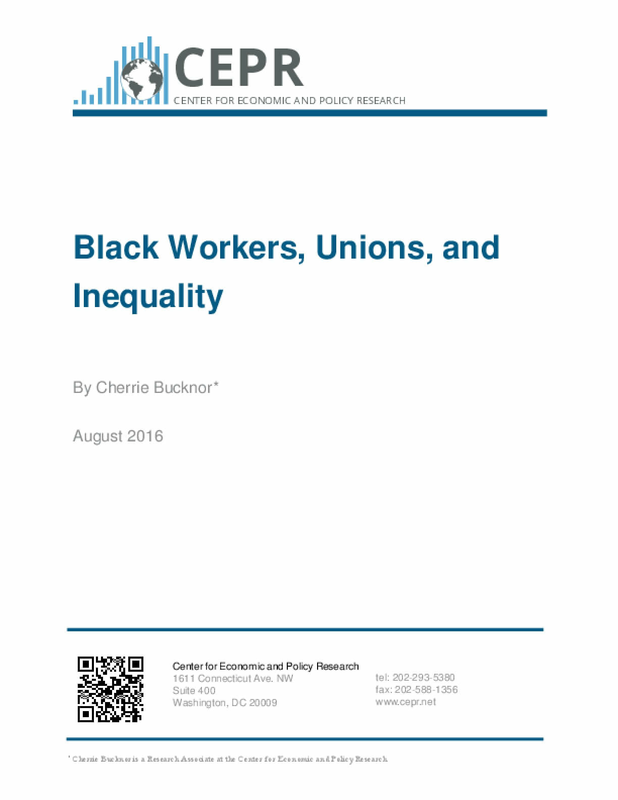 This study uses the most recent Census Bureau data available to examine the trends in unionization for Black workers, focusing on unionization rates as well as the demographic composition of the Black union workforce. This paper also presents data on the impact of unionization on the wages and benefits of Black workers and how these benefits work to reduce racial wage inequality.Unionization rates have been in decline across the board for decades. Despite this fact, Black workers are still more likely than workers of any other race or ethnicity to be unionized. In 2015, 14.2 percent of Black workers and 12.3 percent of the entire workforce were represented by unions, down from 31.7 percent and 23.3 percent, respectively, in 1983. This large decline in unionization has occurred alongside, and contributed to, an increase in overall wage inequality, as well as the widening Black-white wage gap.